My mother, quoting her mother told me my whole childhood; “it doesn’t matter if you’re rich or poor, if you have good manners you can go anywhere.” She was kind of a stickler about it, making us sit on our left hand if we were poking in our food too much, telling us not to lean over our plates like a puppy at a bowl. I even remember her making me stand up for the last part of a meal because I had tipped my chair one too many times. The caveat was that no matter what, making other people comfortable is the soul of good manners. So when I found myself at a table where the hosts used their hands to eat, I washed up, watched for technique, and dug in. We were guests in the home of a colleague, a family from Calcutta who live in Hong Kong. Along with my husband, a Chinese colleague, another visitor from India and our host, I was the only woman seated for the meal. The lady of the house, her daughter and a house helper bustled around serving food onto our plates, filling glasses with drinks, bringing new plates and bowls and fussing over all of us. The table was covered with chapattis, a curry made with chickpeas, a saag paneer or spinach with paneer cheese, a spicy shrimp dish that was redolent of mustard seeds, fried fish served with a spicy mustard, a mutton curry with a cinnamon, cumin and rosewater scented biriyani, cucumber raita, hot mango pickles, and a fruit chutney with dates and mangoes. 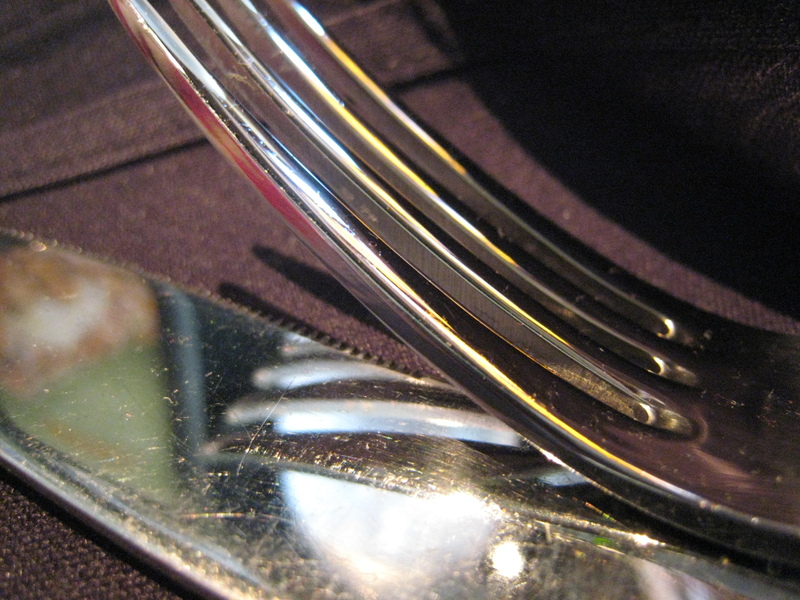 “Using a fork to eat is like talking to your fiancé through an interpreter,” they told us. Chapattis are a flat round bread that is used sort of like a spoon to scoop saucier foods into your mouth. It is flaky, a little crispy and chewy .The fish and shrimp were all peeled, dipped in sauce and eaten with the right hand, the left hand not being used to touch the food, only to serve yourself with the serving spoon. The biriyani and mutton curry were mixed together by hand on the plate and when it was sticky enough to hold the rice together but not saucy enough to drip, you pick up a clump on your four fingers, bring it to your mouth and flick it in with the thumb. I did my best to keep myself food free above the wrist, and by leaning over the plate, only dropped a little into my lap. It was a delicious meal characteristically full of complex flavors and the taste was enhanced by the uniqueness of the experience. I think my mother or grandmother would have been proud of my eating with my hands. Showing respect, trying to adapt, and eating whatever is put before me with thanks is what they taught me and that is what has allowed me to go anywhere.